I'm so glad you found your way to my page! I completely understand all the wedding planning you find yourself doing - I fully planned every detail of my own wedding, and now I have the pleasure of planning florals for the best brides! I know the struggle - and the struggle is VERY REAL - of finding the right vendors for your wedding. As far as design goes, flowers are among the most important elements of your day. They truly set the stage for your event and add the finishing touches that a space can look so bare without. And of course every bride needs an incredible bouquet! As a designer, my goal with each bride that I work with is to catch her vision - and translate it into flowers. One of the first things I learn about the bride is her priorities: Which elements of her wedding are most meaningful to her? And that is where I create a statement that reflects her. Are you in need of a wedding florist? Read on! I would love to create something beautiful for your day! View my floral work here! Some love from previous brides! Rebekah was a DREAM to work with; she walked me through each step of the process, communicating with me often and with quick responses... She really made it easy for me to get exactly what I wanted. I absolutely loved the wedding package that Rebekah created! She was SO responsive and kept me updated throughout the entire process. Every piece was adorable and I received several compliments! Would you like me to be your wedding florist? It's just a few steps away! Don't wait to send that inquiry! I only take a limited number of weddings per year; make sure yours is one of them! Direct access to me with questions/changes/etc. Unique florals that reflect you! ​I'm Rebekah, the owner and designer here at Florologie! 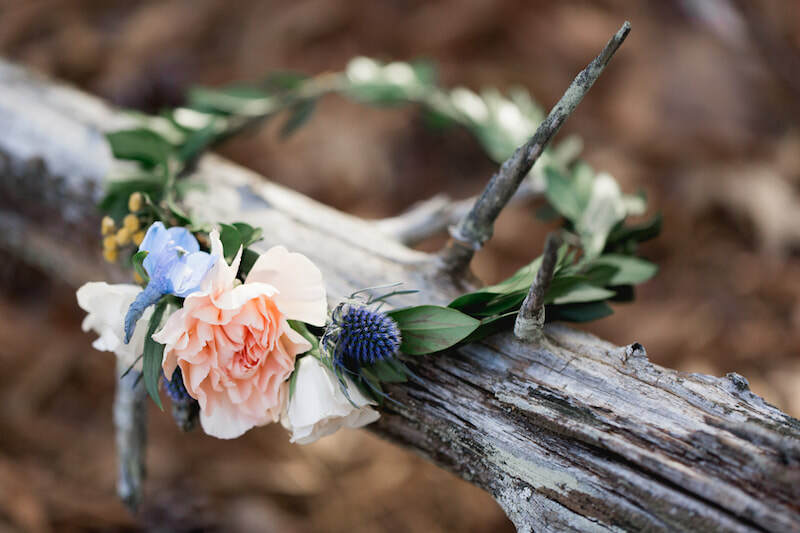 My work in the floral field began with my Etsy shop, where I started making alternative floral garlands. I received alot of requests for weddings and eventually that's exactly where I ended up! Even though this isn't what I thought I would be doing, I'm so glad this is where I am. I absolutely ADORE the brides that I have the pleasure of working with and love to create florals that truly reflect each bride that I work with. Reach out! I would love to create something just for you! I typically work in the Southeast United States, most often in Augusta, Ga or Savannah, Ga and other cities within a few hours of these cities. If I'm not in your area, I still offer alternative wedding flowers that will last for years to come! I create custom wedding flowers + have shipped these florals to brides all over the world. Hit the button below to see more! Not in my area? View my alternative wedding florals, shipping globally, here!